Science and Society 2014 – a brief summary. 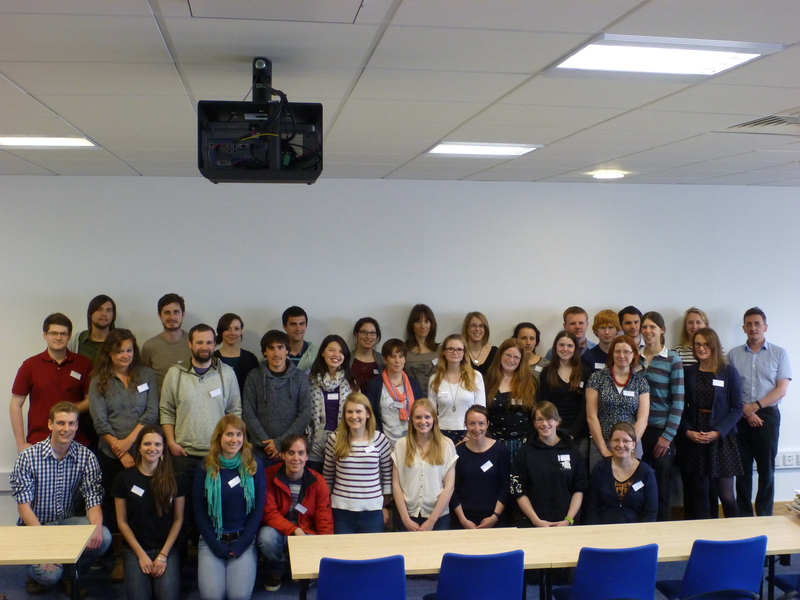 On 22nd and 23rd April, the UK Polar Network held a workshop at the National Oceanography Centre, Southampton. Funded under the Education and Outreach aims of the British Antarctic Territory (Foreign Commonwealth Office), the workshop was entitled “Science and Society: do they have to be Poles apart?” The entire focus was to look at ways early career researchers could engage with the public more successfully, and to give our attendees the skills and confidence to make their science more accessible to the wider audience. Our first day keymnote was delivered by Dr Sian Henley, a research fellow at the University of Edinburgh. Throughout her astonishingly successful early career in science, Sian has always “gone the extra mile”, and taken part in countless science festivals, school visits and public engagement events. She spoke enthusiastically of the benefits of public engagement, and really set the scene for the two days ahead. Matt Donnelly, of the British Oceanographic Data Centre, followed up with an introduction on communication within science – how can we make our data and programming more accessible within even our own fields? The resounding question left in every ones minds was “Will your data be accessible and useable to repeat the studies in 5 years time? 20 years? 100 years?”. Matts talk was kindly sponsored by the Software Sustainability Institute. The afternoon session led us into two interactive workshops – one by Dr Jon Copley of the NOC on “Does outreach make you a better researcher?” He firmly argued the point of yes, and gave some excellent examples of dealing with the media. This was followed by Kim Marshall-Brown, of the NOC communications department who discussed the role of science in the printed media, how little science features in the average daily newspaper, and how to liaise with your press team to help them help you. Day two began with an excellent keynote from David Derbyshire (the keynote session was kindly supported by the NOC communications team). A freelance environmental journalist, David has written for the Daily Telegraph and the Daily Mail amongst others. His vast experience with the national media led to a great discussion, and was particularly eye opening when considering the readership of national papers when compared to the ones that are more popular in the field of science. David was followed by a presentation from Ella Darlington and Laura Hobbs (Loughborough University and Scottish Association for Marine Science respectively) who presented on their own experiences of social media, blogging from the field, school outreach, and making podcasts. Vijay Shah, of several Arctic expeditions, gave an excellent “crash course” in Polar film and photography – something that nearly all of the attendees had very little experience in! Key tips, such as the best time of day to take a photo, and getting the perfect person:landscape:sky ratio were discussed, along with how to make your films the sort that people just can’t pause! Our two interactive afternoon sessions featured Liz Pasteur from the International Polar Foundation with their amazing interactive maps and hands on experiments! 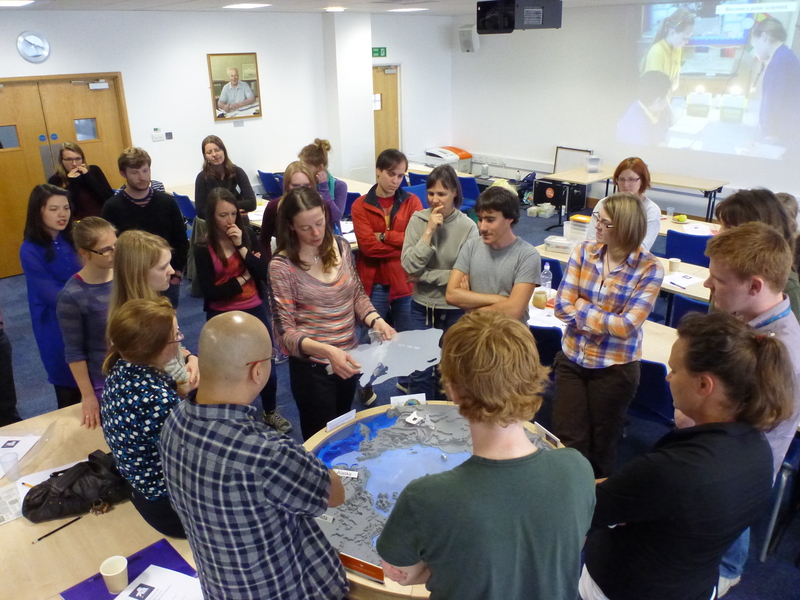 Participants had the chance to reconstruct Antarctica (something most found surprisingly/embarrassingly difficult! ), and conduct the experiments on albedo, the contribution of sea ice and glacial melt on sea level rise, and thermal expansion of water. The final session was a great overview of science communication from Helen Czerski (University College London) – covering important but often not considered topics such as communicating error, and simplifying without dumbing down. The workshop was a great success, and we’ve had some really positive comments from participants. There was a total of 40 attendees, made up of a variety of early career levels from undergraduate to early post doc, and from a range of institutes including Bristol University, University of Southampton, Reading University, and Queen Mary London, amongst others. A big thanks to all of our supporters, including the National Oceanography Centre, Southampton, the British Antarctic Territory, Loughborough University and the Software Sustainability Institute. Thank you to all of the facilities, reception, estates and catering staff at the NOC, Southampton, who put in a tremendous amount of effort to help the workshop run smoothly. Finally, a huge thanks to all of our speakers who gave their time and effort to contribute to the workshop. With special thanks to Kim Marshall-Brown at the NOC, who not only provided a session of her own, but assisted us with both time and finances extensively to help with finding and booking other aspects of the programme. Thanks to all those that attended, and we look forward to seeing you at future UKPN events! Polar Marine Workshop, UEA. Speakers announced! UKPN Polar Marine Science - Registration closes May 21st!! Click here for the Workshop Schedule The workshop is an interdisciplinary meeting of early career researchers, focussing on all aspects of marine sciences in the polar regions. It will be hosted at the University of East Anglia in Norwich on the 29th – 31st July 2014. Workshop Themes The theme of the workshop is polar marine science, including physical, biological and chemical sciences of the oceans, as well as links with atmospheric and cryospheric processes. The workshop is funded by the NERC iSTAR project, itself an interdisciplinary project researching the impact of ocean heat transport on the melting of Pine Island Glacier in West Antarctica. Information This workshop aims to bring together 40 – 45 early career polar researchers to present their science and gain knowledge of cutting edge research, funding opportunities and career pathways. We invite talks or posters in any field of polar marine science and also welcome research in progress from early career research students - it will be a great opportunity to present in front of peers and get feedback on your research from a wide range of specialisms. There will be excellent opportunities to build networks with fellow early career scientists as well as senior scientists, who will share their perspectives in a series of panel debates and workshops. Our keynote speaker on Tuesday night is polar explorer Antony Jinman, who also specialises in educational outreach whilst on expedition! Polar technologies such as Autosub, UAVs, AUVs, seal tagging and moorings will be introduced by experts in the field and provide the opportunity to learn more about how they could be used in your research. There will be a registration fee of £50. Registration closes in 3 weeks, so get your abstracts in soon! For more information and registration please visit: http://polarnetwork.org/events-and-workshops/2014-polar-marine-science-workshop/ You can connect with fellow participants on Facebook: https://www.facebook.com/events/1377274915857549/ Thanks, The organising committee. The day involved A2 geography students and staff taking part in a range of interactive experiments designed to teach them about the complex processes that drive climate change and the level of the sea. The students also got the opportunity to dress in polar clothing, to get a feel what it would be like to work in these inhospitable regions. This day really highlighted the benefits of inspiring young people about Geography and Science, which is vital to ensure that we can continue to understand the intricate processes of our global climate system. The experiments were run in association with the International Polar Foundation’s Class Zero Emission project and the UK Polar Network. 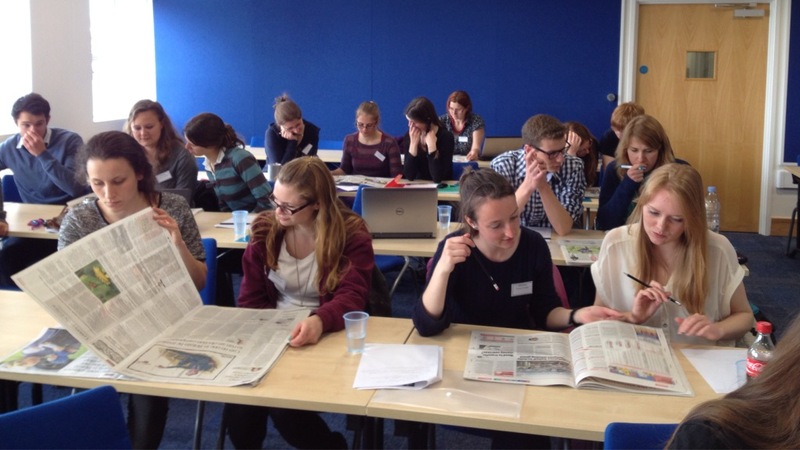 Simon Holland, Geography teacher at Bilborough College said: “It was an excellent and stimulating day which really brought home the issues to students but also the complex science behind the issues in a tangible and enjoyable way. “The experiments looked at crucial parts of the climate change picture which together create a real issue for us all to address now and in the future, bringing home the message about the potentially devastating impact of climate change on our lives and planet. “Huge thanks must go to the University for organising, coordinating and sponsoring such a useful and motivational event for all involved.” The event was organised by PhD Student Eleanor Darlington, with help from Loughborough University staff and students Morna Simpson, Dr. Richard Hodgkins, Matthew Standell, Joni Cook, Catherine Waite, and Alexis Alamel. More photos available here. Show you available means of sharing your data so that it is useful for all! Report on the WWRP Polar Prediction Project steering group meeting. Invite early career scientists to PPP events (not just workshops; but also steering groups, etc.). Run mentoring sessions at SG meetings and PPP workshops. Involve early career scientists in informal social settings such as icebreakers where they are encouraged to meet and talk with senior scientists. Run skills training workshops to ensure that early career scientists are familiar with tools as well as operational in-house systems (e.g., models, and diagnosis and verification systems) and can more readily run models or analyse operational centre data. (Existing examples include twice yearly WRF workshops and verification workshops run by JWGFVR.). Invite local APECS representative(s) to take part in the next PPP-SG meeting (tentatively Boulder, Colorado, USA in October 2013). Run a mentoring session in association with the PPP-SG meeting. 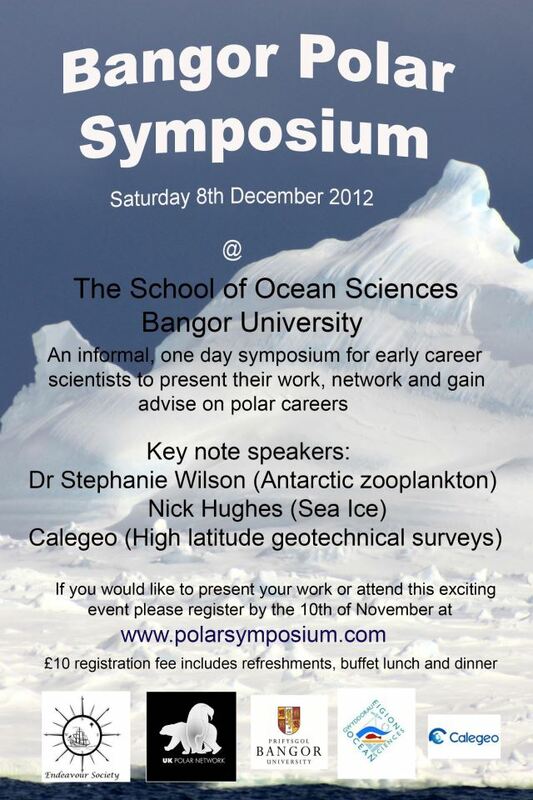 Saturday 8th December 2012 School of Ocean Sciences, Bangor University (North Wales) An informal one day symposium for early career scientists to present their work, network and gain advice on polar careers. 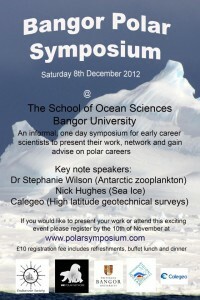 Key note speakers include Dr Stephanie Wilson (Antarctic zooplankton) and Nick Hughes (Sea Ice). If you would like to present your work or attend this exciting event then please submit your abstract by the 10th of November at http://www.polarsymposium.com/. 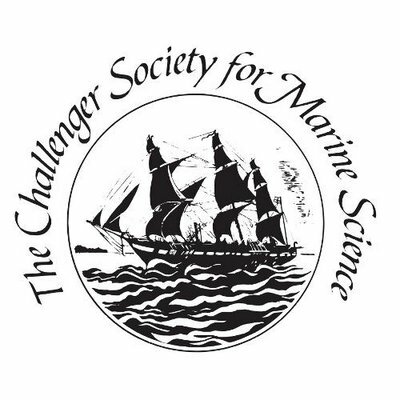 £10 registration fee includes refreshments, buffet lunch and dinner.This event is supported by the UK Polar Network, Endeavour Society, School of Ocean Sciences at Bangor University and Calegeo. The UKPN Modelling in the polar sciences workshop ran from the 2nd to the 4th of April 2012 in the Geography department at the University of Sheffield. It was attended by 30+ masters students, PhD students and early-career researchers all interested in learning about mathematical modelling and how it is applied in the polar sciences. Participants enjoyed talks and practicals covering topics from ice ages to ice divides delivered by a range of highly respected academics. Felix Ng, Sheffield, began the workshop with an introduction to mathematical modelling providing a useful summary of the different types and uses of modelling, and sharing his love of the subject by describing the links between hydrodynamics and horse locomotion. Next, Michael Griffiths from the Sheffield computing department introduced us to the Sheffield supercomputer which we used to compile and run models during the rest of the workshop. Andrew Fowler, Limerick, then ran a computer practical where participants gained experience of modelling ice ages. Later in the afternoon participants got a chance to present their work in a poster session. Judges Felix Ng, Iestyn Barr, Queens Marys, and Ian Rutt, Swansea, chose Edward Gasson’s poster entitled ‘Modelling the onset of Cenozoic Antarctic glaciation’ as the winning of the poster prize which was presented at the end of the workshop. 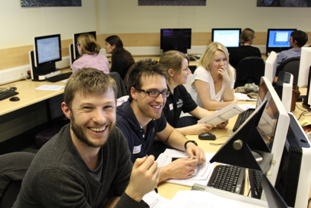 Participants enjoying modelling ice ages during Andrew Fowler’s computer practical. From left to right: Jonathan Day, Leeds; Christopher Williams, Leeds; Eleanor Darlington, Loughborough; Aisling Dolan, Leeds. The next day began with talks about the GLIMMER-community ice sheet model from Ian Rutt and Stephen Livingstone, Sheffield, and a practical run by Ian aimed at teaching students how to compile and run GLIMMER for themselves. That afternoon Richard Hodgkins, Loughborough, gave a talk and ran a practical on the modelling of the glacier hydrology using linear reservoir and time-series approaches. That evening the conference dinner was held at a local restaurant called The Milestone. The next morning Grant Bigg, Sheffield, and Pete Nienow, Edinburgh, presented interesting talks about the Arctic’s contribution to Heinrich events and hydrological observations in West Greenland. These were followed by a talk and practical run by Richard Hindmarsh, British Antarctic Survey, about ice divides and grounding line stability. The workshop provided an opportunity for young scientists to interact with each other and with some of the most respected and established academics in their respective fields. Everyone who attended took a huge amount from the event both academically and socially. I would like to thank all the people who helped organise the workshop, including but not limited to: Iestyn Barr, Jeremy Ely, Stephen Livingstone, Sarah Wrathmell, Tom Hurst, Amir Levy, John Owen. I would also like to thank Sheffield University for use of the Geography Department and supercomputing facilities and Foreign and Commonwealth Office for funding that made the workshop possible. Jonathan Kingslake, University of Sheffield.